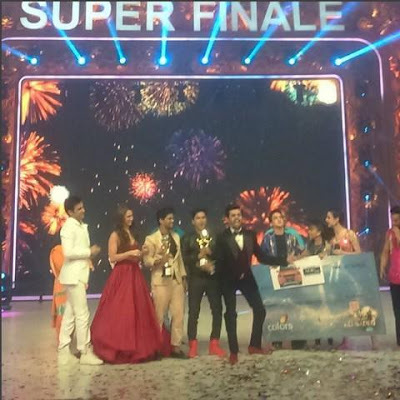 Jhalak Reloaded has been in the news since the beginning. With some amazing performances to heart felt good-bye to Karan Johar, this season has seen it all. As #JhalakFinale was nearing, fans gathered to support their favorite participant. With participant's having their friends come over to the show to render their support and appeal for vote, there were huge speculations and polls taken to know who would win the show. With one poll showing that over 60% people wanted Sanaya Irani to win and 22% people rooting for Faisal Khan, it would be a tough decision on the finale. Over twitter, I got to know that the finale of the show was being shot and it was being shot for over 12 hours. Alia Bhatt was there to promote Shandaar with her co-star and judge of the show Shahid Kapoor. Barun Sobti stepped in to support her co-star Sanaya Irani and twitter went beserk with people wanting them to recreate 'Iss Pyaar Ko Kya Naam Doon?' magic again on the stage of Jhalak. Also, it was read that first Mohit Malik was eliminated followed by Shamita Shetty, making Faisal Khan and Sanaya Irani a step closer to the trophy. Seeing the history of the show, a non dancer has always won against a dancer, rather a popular celeb has always won over a good dancer so this time around, it was expected that Sanaya Irani would take the trophy home. With Sanaya trending a couple of times during the show and also during the finale shoot, many people were sure that she would win Jhalak Dikhhla Jaa season 8. 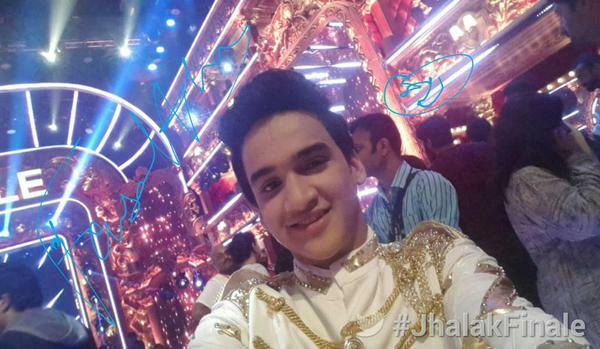 And if this is confirmed then Faisal Khan who has won Dance India Dance Lil Masters, has won Jhalak Reloaded as well. Congratulatory tweets are flooded along with disappointment over Sanaya losing the race. Sanaya Irani fans are livid with the news and disappointment tweets have beem bombarded to Colors TV and also other judges. A photo was shared on twitter which went viral in few seconds which revealed that Faisal has won the show. Having said that, lets congratulate the winner FAISAL KHAN. Pic credits to the uploader.